A yummy paratha always brings to mind a sumptuous treat oozing with butter, ghee or oil. This often makes health-conscious people desist from enjoying their favourite treat! 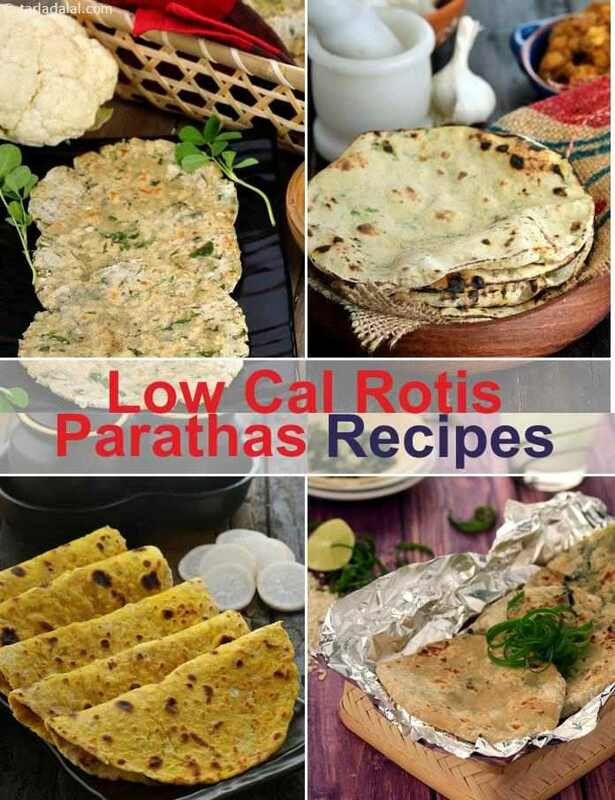 This section is loaded with healthy, low-cal rotis and parathas, which are made with wholesome flours like jowar, bajra, nachni or whole wheat flour, fortified with other healthy ingredients, and cooked with very little oil, ghee or butter. Treat yourself to healthy treats like the Cauliflower Methi Roti, Doodhi Theplas, Jowar Pyaz ki Roti, Lazeez Parathas, and Lehsuni Bajra aur Kaddu ki Roti. Paneer, carrot and bean sprouts parathas, enjoy the oriental touch of soya sauce in these parathas made from healthy and yummy stuffing of low-fat paneer, sprouts and carrots. Rich in protein, fibre, vitamin a and b complex, a scrumptious treat awaits you!